Now, we know I only have boys. But some people in this world have girls. And those girls have birthdays. 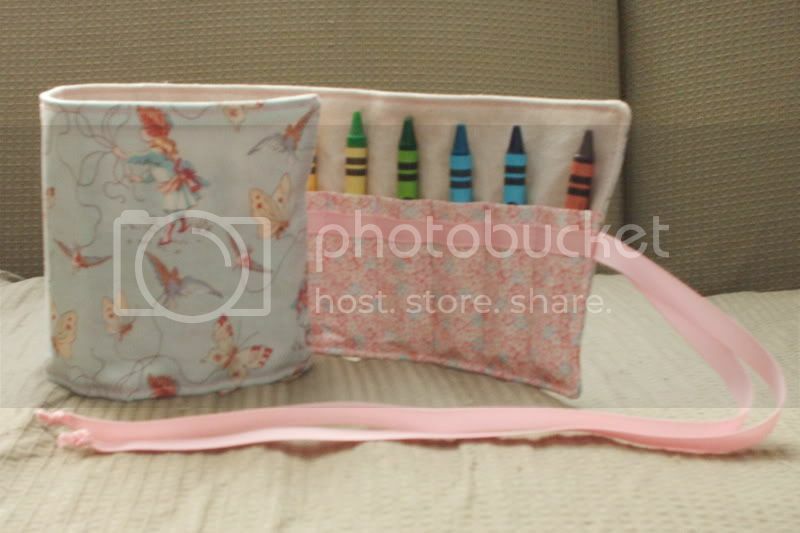 So here's a crayon roll: And a bag: For my sister-in-law's niece. 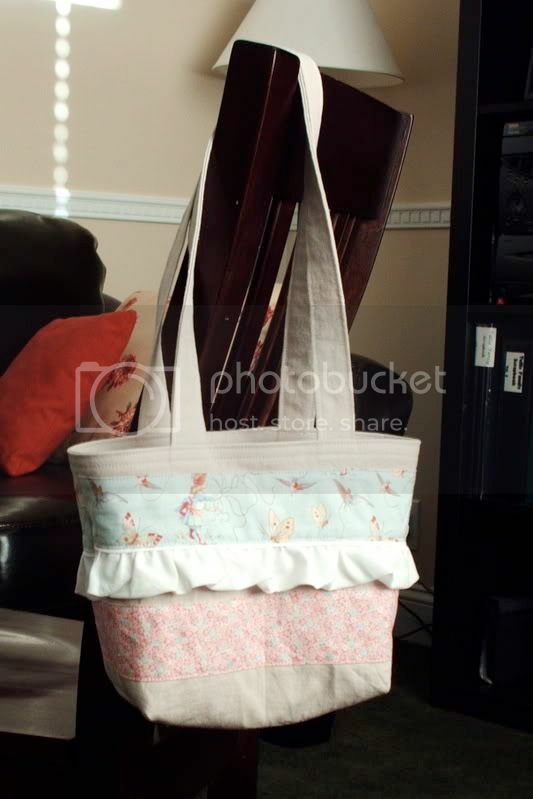 I didn't use all of the two fabrics Cami gave me to make her present. I have just over a fat quarter of each, a cute pink toned floral and a very whimsical butterfly print. So what else does this girl need? Go with a crown. Crowns are always good to have laying around. Just in case you need to remind your loyal subjects of your position.